Book Fair Hosts Special Author! Please join us after school at the Book Fair on April 18 to welcome author TwoBears Medina. 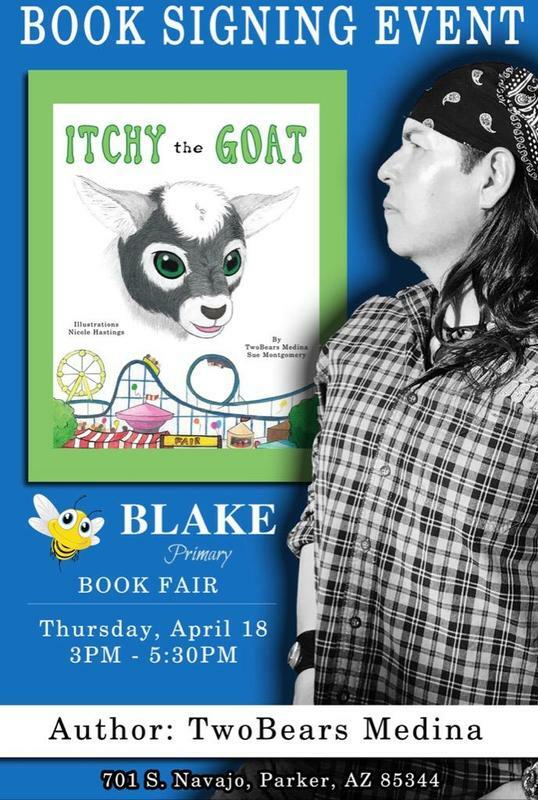 His book, Itchy the Goat, will be available for purchase and you may meet Mr. Medina and have your copy signed. This book will not be a part of the BOGO promotion, but we are proud to host this author at Blake School.